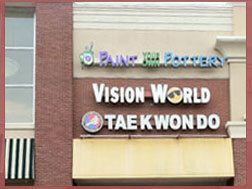 Vision World has been serving the New York community with all of its eye care needs for the last 30 years. Our eye care practice is in Garden City. Our caring optometrists and opticians have years of experience. We also carry the finest in eyeglasses and designer eyewear as well as a large selection of contact lenses to suit our patients' every need. Our goal is to provide you with dedicated and friendly service. Our practices offers a variety of services to our patients. Our licensed and experienced staff performs comprehensive eye examinations and contact lenses fittings. For eyewear, you can choose from a large selection of eyeglasses and designer frames and sunglasses. As part of our dedication to your vision health, our optometrists also conduct glaucoma testing.